Dunkin’ Donuts Park, a minor league baseball stadium in Hartford, Connecticut, has completely banned peanuts, a move the organization claims makes it the first to do so in the United States. It’s the latest instance in a growing trend of eliminating peanuts from public spaces. Insert your own “and Cracker Jack” joke here. A peanut topping for ice cream was eliminated from the stadium’s list of more than 200 food and drink items available for sale, along with the obvious peanuts and Cracker Jack. 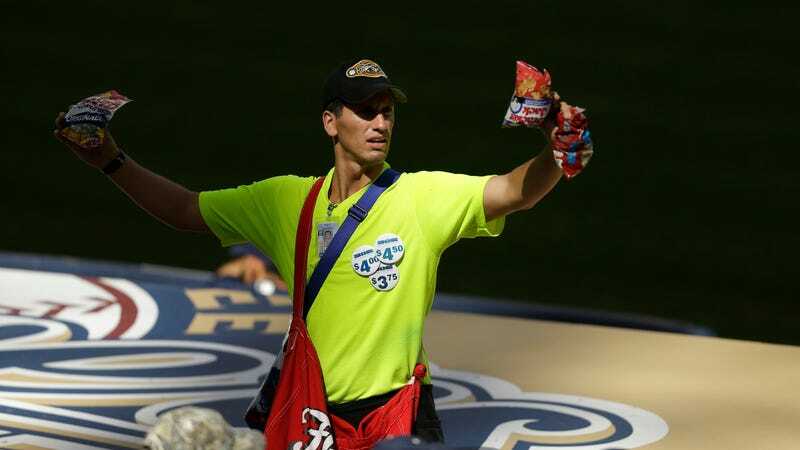 Management checked to ensure that none of the foods remaining contain peanuts, and bag searches for fans entering the stadium will now include checks for the potentially deadly food. As a result, parents will no longer need to root, root root through their bags to find an Epipen at the stadium. Workshop your version in the comments. For peanut-allergy sufferers, is there hope in peanut flour?